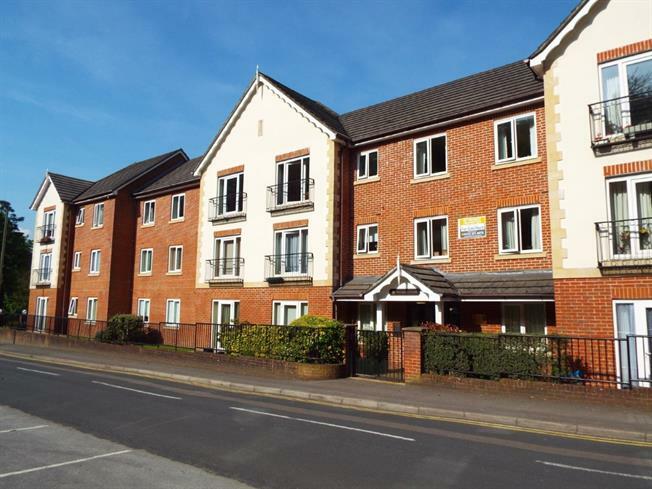 1 Bedroom Flat For Sale in Caterham for Asking Price £175,000. This first floor apartment features a 16' front aspect lounge/diner as well as a fitted kitchen with integrated appliances and a window to the front. There is a good sized double bedroom with built in wardrobes and a shower room as well as useful storage cupboards. Within the development, there are residents facilities including a house manager, communal lounge and parking. The property is offered with no chain. With doors to lounge, bedroom and shower room. Useful storage cupboards. Fitted with base and wall cupboard and drawer units. Integrated appliances, window to the front. Recently fitted with shower cubicle. Tiled walls, low level WC and wash hand basin. Within Pegasus Court, there are a number of facilities for the residents including a lounge on the lower ground floor that opens onto the gardens. There is also a laundry and buggy store and the development is overseen by a house manager. There is gated residents parking.